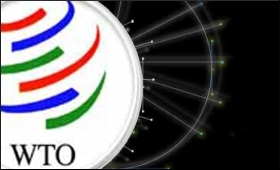 India on Thursday called for expediting negotiations at the World Trade Organisation (WTO) on a trade facilitation agreement in services (TFS), saying multilateral bodies cannot afford to deliver slowly in the present global context. "I hope it will not take too long because the disillusion that multilateral institutions are delivering slowly cannot be afforded any longer in the political reality of the globe today," Commerce Minister Nirmala Sitharaman said at a workshop in New Delhi on TFS, organised by the Commerce Ministry and the World Bank. India has presented a concept note at the WTO for a TFS Agreement, which proposes a way forward on comprehensively addressing the numerous border and behind-the-border barriers on the lines of the historic trade facilitation agreement in goods. The TFS proposal aims at liberalising rules for movement of professionals, liberalised visa regime and long-term business visas. Referring to the concerns raised by certain WTO members that TFS means more market access and not facilitation, Sitharaman said these two are completely different issues. "Facilitation is going to bring in transparency and also great deal of reduction of regulatory constraints," she said. India is pushing for a TFA in services at the WTO as this sector has huge potential and contributes significantly to the country's economy. Pointing out that the Indian services sector contributes over 55 per cent to the country's Gross Domestic Product, Sitharaman earlier said India was unable to leverage its strength in services to get the necessary benefits in the TFA in goods signed with the Asean group, for instance. Meanwhile, India's paper for a proposed TFS Agreement has been well received by many member countries, WTO Director General Roberto Azevedo told reporters here during a visit last month.